We are based in Lincoln, Nebraska and are currently in our 50th year. We are a social club of Corvette owners and enthusiasts who get together to enjoy our mutual appreciation and interest for our cars and to have fun. We are a non-profit club that donates to charitable organizations in our hometown. We invite you to browse our website and give our club a try! We hold our meetings the second Wednesday of each month, 7pm at the Elk's Lodge 5910 S. 58th St. In December we have our annual Christmas Party in place of the monthly meeting. 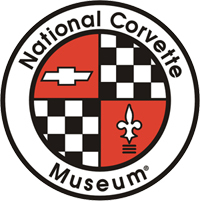 Located in Bowling Green, KY the museum is a wonderful place to visit and perhaps pick up your next Corvette with the Museum Delivery Package where you can walk down the assembly line across the street and watch your car be assembled. As a benefit to club members there are a limited number of admission tickets to visit the museum for free.